There is a wonderful thing going on in the restaurant world, and that would be the revitalization of the hamburger. It seems like places are finally giving the hamburger the respect that it deserves. Smashburger is one of my favorite places to get a hamburger, and they have this sauce, the Smashsauce, that is hard to beat. 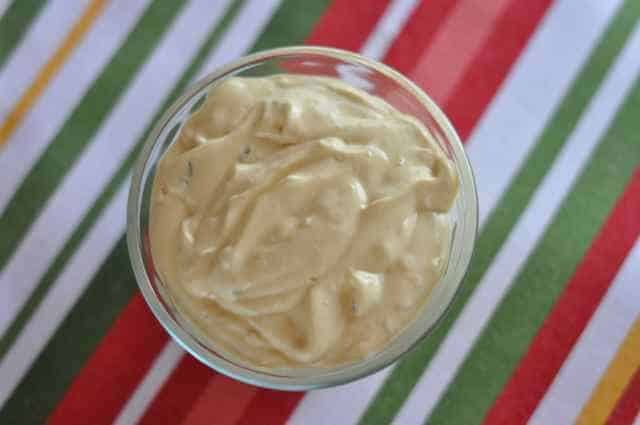 What’s so great about Smashburger’s smashsauce, well it is a tangy, mustard-based sauce, that is perfect to spread on a hamburger, or to dip your fries into. So you can enjoy my version of the Smashburger Smashsauce, I bet it tastes just like what is offered in the restaurant. Enjoy the rich flavor that only Smashburger's Smashsauce can deliver. So . . . Is it with mayo or not? The recipe clearly states MAYO as an ingredient – DUH! ate there today no pickle relish at.I looked and tasted the before anything else…. I can see that, it is a souped up mustard. Who the hell puts mustard in tartar sauce????? I made this and it had a very strong taste of the French’s Mustard. Is 1/4 cup too much for the mustard? I didn’t think so. I do like mustard. I work there and its actually made of Mustard Mayo Sweet Relish and Lemon. Just so you know as a former Smasher, you have almost the exact recipe short of the lemon juice. That is what gives it that extra tang. And according to th e founder of Smashburger, French’s mustard is the only mustard allowed in smashsauce. I don’t know about the recipe above, but If the it’s the same smash sauce I had yesterday, it’s missing the horseradish I tasted in the sauce. I have never detected horseradish in there, I have detected a lot of sharp yellow mustard though. I love smashburger I went in recently for the first time and fell in love with their burgers! The sauce is defintely what makes the burger! My family will love that I can make this at home now! Thank you for posting this!